American Diner style eating has become absolutely HUGE in London in recent years, you really can’t move for Southern barbecue dishes, mac’n’cheese and burgers. Some of it is great, a lot of it, however, is distinctly average. Too many places have jumped on the bandwagon and assumed all they need to do to get a slice of action is churn out grilled meat en masse and throw together a couple of lazy sides. Unfortunately this is sort of the impression I got from Joe’s Southern Kitchen. 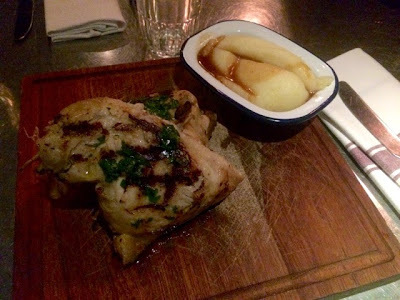 My friends and I visited Joe’s Southern Kitchen one evening on a bit of a whim after wandering around Covent Garden looking for dinner, not having booked anywhere and resorting our search to wherever still had free tables as everything was packed. Having set our sights on Big Easy but been put off by the two hour waiting time, we settled on Joe’s Southern Kitchen as a similar alternative. On the plus side, we got seated and seen to straight away, however, service was a little erratic and our waiter seemed permanently distracted. We placed our order and the food arrived within a couple of minutes. As much as it’s nice to be served promptly, this did sort of suggest that there was just a row of dishes all ready and prepared in a production line just waiting to be ordered. At this point we didn’t have any drinks and as our waiter was impossible to catch we resorted to getting up and going to ask another server if she could help us. She was very apologetic, very helpful and got everything we needed straight away. I ordered ‘Chicken under a Brick’ … which is essentially half a roast chicken marinated with garlic and rosemary that’s been cooked under a brick. The menu offered no further explanation so I’m equally as bemused by the presence of the brick and it’s benefits to the roasting process as you are. The chicken was tasty and mostly well cooked, except the breast was a little dry and therefore a little tough going to eat after a little while. My whipped potato side dish was a generous scoop of mash with a little puddle of gravy. Nothing to write home about. I’m fairly certain I could have done a pretty decent, if not better, version of this whole thing at home, but there was nothing actively horrible about it or wrong with it. 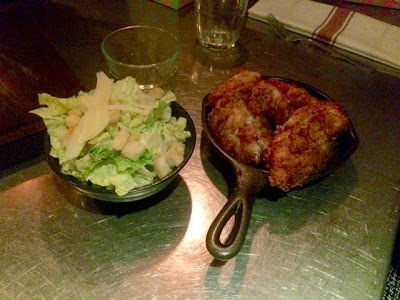 My friend, Sarah, had ordered the southern fried chicken with a caesar side salad for which no cutlery was provided and no side plate for the bones. After tracking down the previously quite helpful waitress we managed to get these. 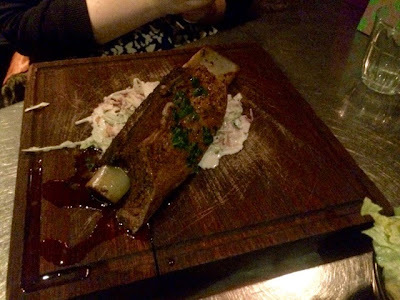 My other friend, Emma, ordered the eight hour slow roast beef short rib with slaw. The general consensus was that we were all adequately fed but not particularly satisfied, as everything was a bit boring and unremarkable. 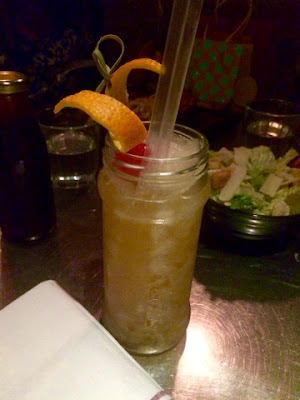 Something that I did think was worth coming out for was the Son of a Peach vodka cocktail I ordered. Fruity and delicious, this stood out far more than any of the food. 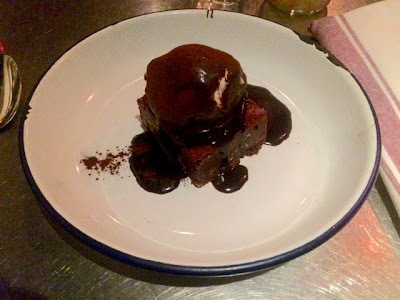 Chocolate brownie dessert was a chocolate brownie with a scoop of ice cream and chocolate sauce which was never going to fail to please. However, it was no different, and definitely not better than, the chocolate brownies on every other dessert menu in the country. Fairly standard and nothing I couldn’t do better myself. In conclusion, the food at Joe’s Southern Kitchen wasn’t bad. It just wasn’t great. We all left feeling a bit underwhelmed and unsatisfied and thinking we’d probably have been better off popping to the supermarket, heading home and cooking up a roast and whipping up some mash ourselves. Nothing was horrifically bad, I just won’t bother visiting again. I wouldn’t tell you to avoid Joe’s Southern Kitchen, I can just think of better places to spend your had earned cash.